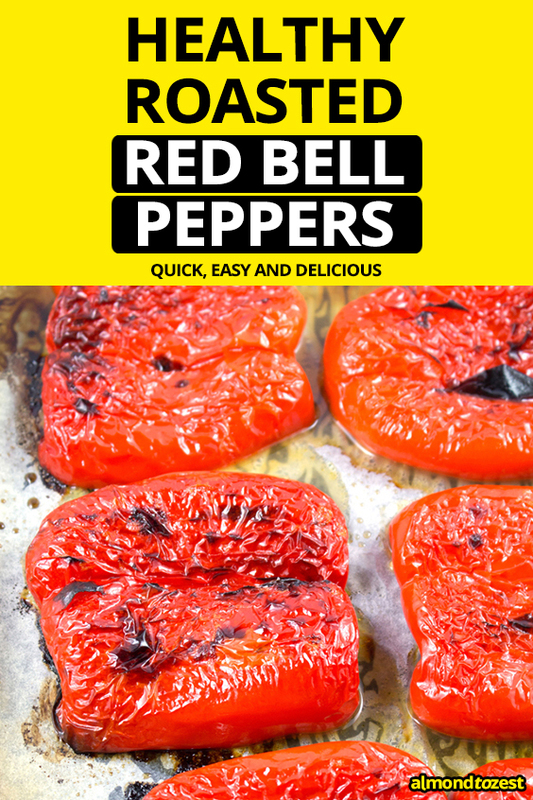 Roasting your own fresh red bell peppers at home couldn’t be easier and these roasted red bell peppers are delicious! All it takes is a few steps and you will never have to waste money on buying a store bought jar again. They also have a sweetness to them that the ones from the store cannot beat! STEP 1. 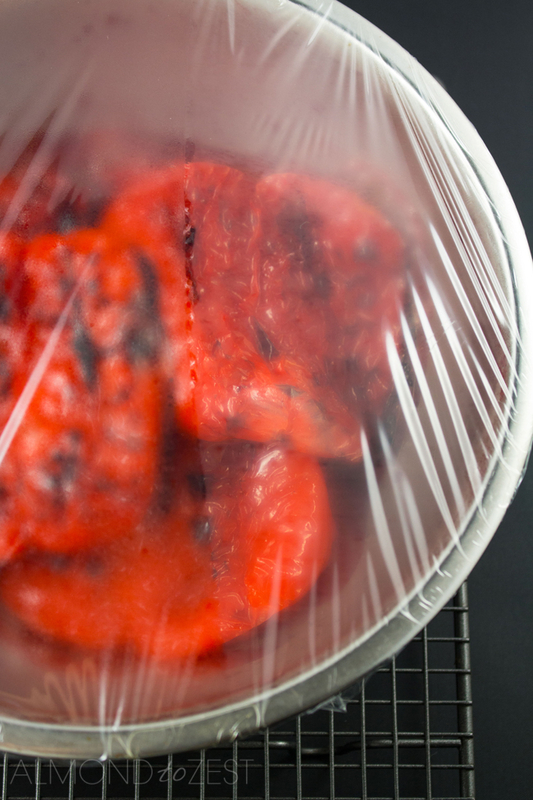 Heat your oven to 480 (250C) and a baking tray with parchment paper. 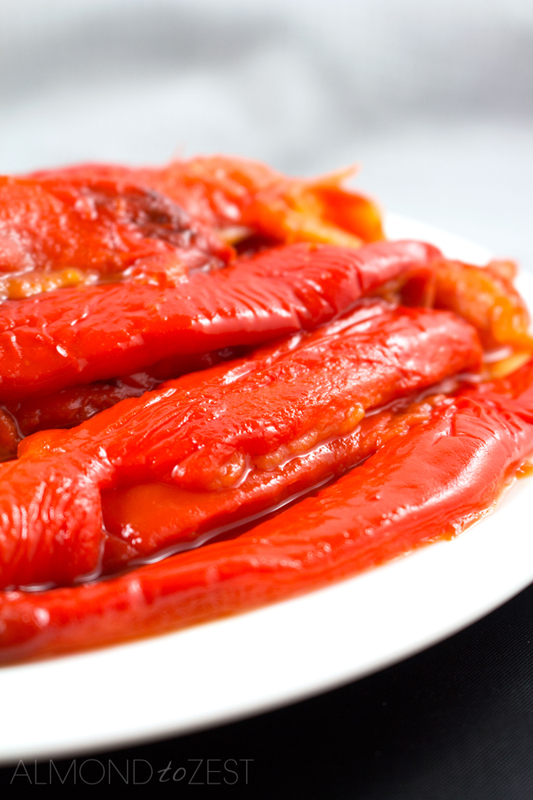 Slice your red bell peppers into halves lengthways. With your hands remove the stem and as much of the white pith and seeds from inside as you can. Place them on the tray cut side down and give them a light spray with cooking oil. STEP 2. 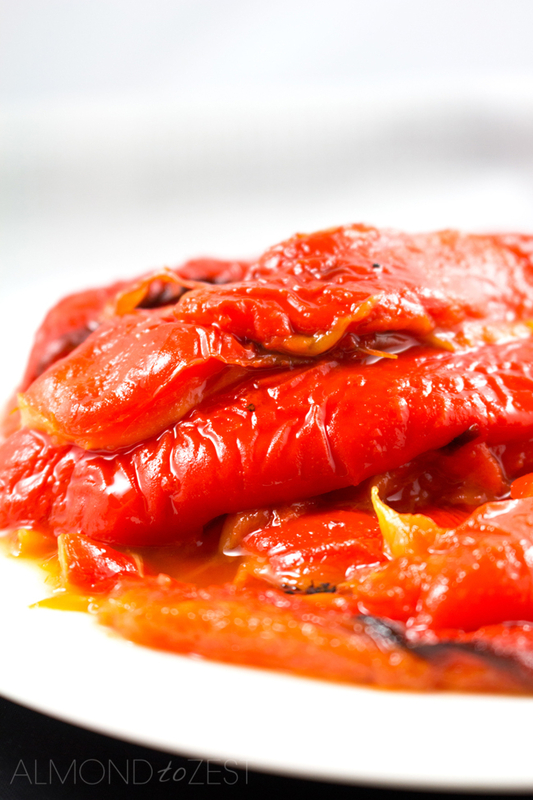 Place the red bell peppers in the oven for around 25 minutes or until the skin is slightly blackened and blistered. STEP 3. Remove the tray from the oven and transfer the red bell peppers into a bowl. Cover with plastic wrap and leave on the bench top for an hour. This will allow the peppers to sweat and start to steam off the skin. STEP 4. Take the plastic warp off the bowl and peel the skin off the peppers. Some people will wash them under cold water to remove the skin but I find that that will cause the peppers to loose some of the charred sweet flavour. So I recommend taking the time to try and peel them without running them under water. Kept in an airtight container in the refrigerator these babies will last about 4 days, or if you cover them with olive oil they will be good for a couple of weeks. Why not try them out in my Creamy Red Bell Pepper Dip? Heat oven to 480 (250C) and line a baking tray with parchment paper. 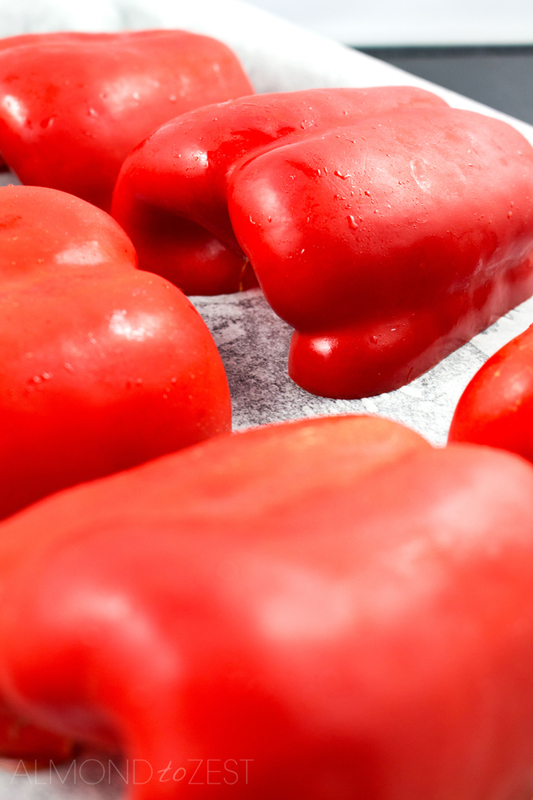 Cut your red bell peppers in half lengthways and remove the stem, pith and seed with your hands. Lace them cut side down on the tray and spray with cooking spray. 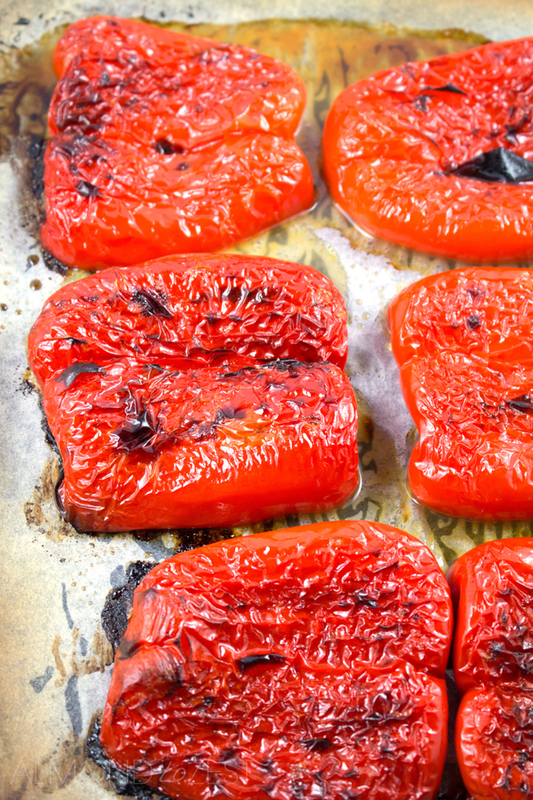 Cook in oven for around 25 minutes or until the skin of the peppers is blistered and slightly blackened. Transfer to a bowl and cover with plastic warp for around 1 hour. Remove the plastic warp and gently peel off the skin from the flesh of the peppers.